Training isn't just about compliance—it's about prevention. We want you to stay safe and healthy on-the-job so you can enjoy life outside of work, too. To help meet your training needs, we offer a wide variety of trainings, and in several formats, including live on-site training, online training, and training hosted at NBSIA. Please use the buttons below, or the navigation pane on the left, to learn more about our various trainings. 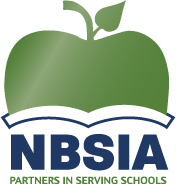 North Bay Schools Insurance Authority is committed to providing accessibility for all. If you experience difficulty with the accessibility of any web pages or documents on our site, please contact us to request this information in an alternative format.